If you're suffering from yet another dry spell, this free webinar will help you get editing and proofreading work in the next few days and weeks. I'll show you 10 steps you can take to move out of famine mode quickly. ​Forget theory. This is all about doing ... step-by-step guidance on short-term fixes that will give you peace of mind in the now, and head space to dig deeper in the future. Click on the button below to access the video and the PDF. Louise Harnby is a fiction line editor, copyeditor and proofreader who specializes in supporting self-publishing authors, particularly crime writers. 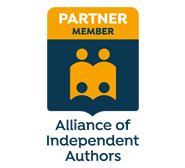 She is an Advanced Professional Member of the Society for Editors and Proofreaders (SfEP), a member of ACES, and an Author Member of The Alliance of Independent Authors (ALLi). ​Visit her business website at Louise Harnby | Proofreader & Copyeditor, say hello on Twitter at @LouiseHarnby, or connect via Facebook and LinkedIn. PerfectIt is the premier consistency-checking software for many professional editors and proofreaders around the world. Developer Daniel Heuman and I sat down for a chat about what's new! So Daniel was in New York, and I was in a tiny hamlet in Norfolk called Panxworth. Despite the 6,000 miles between us, the construction works going on outside his apartment, and the internet-connection problems in my somewhat rural neck of the woods, we managed to produce a video of our chinwag! ​And below is the conversation in full. Click on the Play button to begin listening. I've included subtitles in case you need to turn the sound off or can't understand our British accents! There's a full transcript below. I've edited this for readability but essentially it's the words as they were spoken on the day. LH: My name is Louise Harnby and I’m a fiction editor, and today I’m going to be talking to the founder of Intelligent Editing and the developer of a piece of software beloved by many editors all over the world. And that’s PerfectIt. Before Daniel and I start chatting about all the PerfectIt news, Daniel’s going to tell us a little bit about what PerfectIt does, because some of you might not know. So over to you Daniel! DH: You never know! Exactly! So PerfectIt is mostly consistency-checking software, and the key place where it comes in is that when you’re editing work it’s almost always under, you know, time pressure, and with a pressure to produce perfect work. It’s ultimately dealing with the fact that everything is going to be on a budget. So given a limited time, what is the best document you can produce? And PerfectIt really fits in there. It saves time; it helps you edit faster. And the way I was trying to explain it the other day was at the ACES conference. I have new way of explaining it ... I thought a little bit about what gets people into editing. And I think that without delving into the deep psychology of what makes anyone an editor, I think one of the things that does not drive people is the difference between tiny consistency mistakes. So, yes, it’s fun sometimes when you spot ‘e-mail’ with a hyphen in one place and not in another but mostly that’s not what’s driving people. People get into editing because you care about words, you like reading, you care about communication, you want to explain stories, you want to help people connect better with readers. And these little tiny mistakes that take so much time to spot are not the reason. They are a distraction. They’re significant because they jump out at readers but they’re not the reason why we get into this. And they’re certainly not the reason why one should be spending a lot of time on a document. LH: And you’re so right because they take so long to deal with. I’ve had manuscripts before where, actually, particularly if an author’s got a budget, people like me are spending perhaps hours and hours and hours when we’re using just our eyes, dealing with these tiny inconsistencies, which as you say are red flags. And, yet, actually what we want to do is immerse ourselves in the narrative in front of us and to make it better. And the more time we can spend focusing on the flow of the words ... because every time you come across a hyphen that’s inconsistent, or inconsistent capitalization, as an editor, you’re dragged out of the flow of the work as well. And so being able to do that, to save time by having a piece of software like PerfectIt to do that for you is just wonderful. And you still get the pleasure of knowing that you’re bringing this consistency to the work. But it is back-breaking doing that manually. I think that’s the thing that a lot of editors feel. It’s just back-breaking work. And I would rather an author paid me to do other things with my time. I want them to feel that I’m going to do those things but I don’t want to have to spend more time than necessary doing it, and that’s where your software comes in. DH: Absolutely, and we put on the homepage something like: you spend the time on what matters most, which is your words and their meaning. LH: Yeah, yeah, that’s exactly it. LH: So, Daniel, in the past, PerfectIt’s only been available to Windows users. Well, that’s not quite true. I do have Mac-using friends who have been able to use PerfectIt but they have to be running something like Parallels, or I think it’s called VM Fusion Ware or something. Or they’ve had to go buy a cheap Windows laptop. So I suppose that’s the thing that everybody’s talking about. Like, what’s new for Mac users? DH: That is the news! So first off, it’s been touching and amazing, the extent to which people have been going to use PerfectIt. Like you say, they’ve been installing Parallels. People have been buying computers to run this program, which is touching. I know that buying another computer doesn’t cost as much as it used to but, still. But for Mac users who hate Windows and just run it for one program has been phenomenal to see. But yes, no longer! So we are producing PerfectIt Cloud, which is ... you’re going to have to forgive ... in the background you can probably hear the construction noise! I’ll do my best to speak over it. So we’re producing PerfectIt Cloud, which is an Office Store add-in. And the great thing about Office Store add-ins is that they are compatible in any version of Office 2016. So if you are on a Mac, if you’re on a PC, if you’re on an iPad, even in Word Online (which I don’t know that anyone actually uses), no matter which version you’re on, you see the same add-in. So the functionality is exactly the same across. But, no, as of 26 June we will have PerfectIt Cloud, which brings compatibility to Mac and to iPad for the very first time. So it’s really exciting! Windows users: Should we buy PerfectIt Cloud? LH: So what about Windows users? I have PerfectIt 3. I’ve had all the versions since it first launched. I work on a PC. Should I rush out and get PerfectIt Cloud? DH: In a word, no. So the introduction of PerfectIt Cloud is primarily for Mac and iPad users at this stage. So if you’re using PerfectIt 3, if you’ve got a Windows PC, that’s still going to be the best version that we offer. And it’s going to be strange because PerfectIt Cloud looks so much better! The interface is even easier than it was before. It’s a beautiful product, but underneath there are a few things that PerfectIt 3 can do that we haven’t been able to do for Cloud yet. So the most important one of those is customization of styles. That’s still going to take some time to bring into PerfectIt Cloud. The ability to check footnotes – we’re going to be dependent on Microsoft for them to make some changes before we can bring that in. So if you have PerfectIt 3, if you have a PC, in most cases the thing to do is not to rush out, and not to buy this at least until we produce a new version for the PC, which will be PerfectIt 4. There’s one exception, which is, you know, all those people who ... the ones, the amazing wonderful users that you’ve described who have gone and bought VMware, and Parallels, and even separate computers. A bunch of those users are really frustrated with having to turn them on every time, and going through Windows updates, which take forever. And just to get PerfectIt up and running takes two hours. And it’s saving them a lot of time so they do it, but if you’re one of those people who has both a PC and a Mac, in those cases, yes, you would. Not all the options are included but it’s close enough that you may not want to be uploading and updating your Windows computer each time just to run PerfectIt. LH: Yeah, and I suppose also for people perhaps who are, I don’t know ... I was thinking about the increasing number of editors who are location-independent. And, actually, maybe they don’t always have the latest ... you know, they’re don't want to be worried if their computers break ... and the idea perhaps of just knowing that it doesn’t matter which PC you’re on, or which Mac you’re on, that if you’ve got something, a machine in front of you, you can do your work and you can access the core functionality of PerfectIt wherever you are. And that’s an important thing, I guess. I mean, I’m not location- independent. I am very much dependent! I’m in Norfolk with a rubbish broadband speed and so I’m kind of quite keen to keep things offline and local when I can. But knowing that I’ve got the choice – that will be a big issue for me. LH: Can we talk about price now? Because in the past, once every two or three years, you bring out a new version, and I’ve paid you, I don’t know, $90? I can’t remember the price off the top of my head. So that’s the way it’s worked. But you’re doing things slightly differently now, aren’t you? DH: Yes. So we are switching to a subscription ... sort of a subscription. And I know the minute I use that word people are turning off this video, don’t want to know anything more. because everyone is sick to death of subscriptions with, you know, Netflix and Amazon, and, oh my God, you can get a subscription for your vegetable delivery now, which is bonkers! But I think what we’re doing is really different to that. We switched to a once-a-year payment. At this point at least, there’s no handover-your-credit- card or anything like that. You pay each year if you want to continue using it. And switching to that kind of model means we can drop the price by a lot. So instead of being a $99 one-off purchase, we’ve made it $70 per year. And on top of that, we’ve really dropped the price for, you know, independent editors. So we’ve worked with as many of the editing societies around the world as we can – certainly all the big ones – to have a kind of a discount. And that’s going to be an additional 30%, so the price is going to be just $49 per year for independent editors who are, you know, a member of any of the big editing societies anywhere in the world. So subscriptions mean we can get down the price down a lot, and they mean we can create a really compelling, simple offer, which is that you will buy PerfectIt and then you will get any version you want on any number of devices you want, and not pay a separate charge, which I think is really what bothers a lot of people. So you buy PerfectIt and you can install the PC version on your PC, you can install the Cloud version on your iPad. You only pay once for that and you don’t get stuck with that additional charge you described, which was the upgrade charge. So, yes, we used to have a one-off price but people liked this product and much more than 60% of people paid the upgrade price anyway. So, really, there was a hidden recurring element. And by switching to ... we can call it a subscription, we’ve made everything included in that price very transparent. And you get all the upgrades, you get all the updates, you get support. So I think the way we’ve switched the pricing is really gonna be attractive, and especially attractive for independent editors. LH: I think it’s wonderful because, I mean, I’m a big fan of the subscription model, even with things like Microsoft Office, because I’m a professional, I want the latest software, and I want it to work in an environment that’s stable as well. And so I like having the most up-to-date version of Word. I had a situation a few years back when I first plonked a download of Windows 10 on my Windows 8, or Windows 7 computer or something, and I was trying to get PerfectIt to operate in an environment basically with two operating systems, and guess what? It wasn’t happy. And to know now that I’m always going to be running the latest edition of Word on the latest operating system and that the plugins that fit into that software, like PerfectIt, are going to be the latest editions too ... for me, that’s just one less worry. And so I’m really excited about this because, as you say, it’s upfront, it’s clear, everybody knows what they’re gonna pay and what they’re getting. And you mentioned something there as well, and that was the issue of support. Because in days past, it was the case that if you decided to stick with an older version of PerfectIt you wouldn’t have access to you. And sometimes, you know when you get stuck on things, you just want to be able to ask the person who actually really knows the answer. It’s not guesswork. And knowing that that’s always going to be ... you get the full package. So I’m really excited about it. I think it’s a really good deal. I think the price is a steal as well. And for those of us who are members of professional societies, what a perk of membership to know that you can get one of your core pieces of editing software at such a huge discount! Thank you! DH: Yeah, those societies and the editors within them are absolutely the reason why we are where we are today. That’s been the core of this business so now I absolutely think that it’s important to support them. DH: And I agree with you completely about thinking about Office and updates that way. And I just wonder every time I hear that ... I think, I know those stories are true – when you have a piece of software like Microsoft that is installed everywhere then you always are going to have some things that don’t work and that are gonna get on Facebook. And they’re gonna look to seek help. And they’re always going to be the ones who have some kind of problem. You never get someone who installs the latest version of Microsoft and says, ‘Yep, that worked’ and tells all their friends. So our perception of these versions has been really sort of distorted by, I think, the relatively lower number of people who have had problems in perspective to the total, in relation to total. And as you say, when you actually look at the package and what Microsoft are offering, I think it’s really good. And I’m fortunate that I’ve never had any sort of problems with it. I’ve used Word on the iPad, I use Word on the PC. I think they’ve done a really good job of making those two similar and in line. In the past, there’s been big differences between those things. You know, I was able to switch as a long-time PC-user to the iPad version. I had no trouble doing that. And they do it at a low monthly price. And what I’ve sort of been saying to anyone who’s asked about it is something like, yes, there are some users who’ve had problems, and there have doubtless been lots of glitches, and there always are with endless Microsoft updates, but what about trying it for one month? They offer a monthly price. And see if it works for you. And you’ve got your old version and you can always go back, but those old versions, they’re at this point ... you know, Microsoft has stopped supporting Office 2011 anyway, so we’re out of that period really. Yeah, I think I think as you say, the package they’re offering is very good, and especially the kind of value in the monthly offer. It makes a lot of sense. LH: Yeah, and I think the other thing to mention is that, you know, I think sometimes there are people in, well, not just the editing community but all sorts of communities who are trying to run say 2016, or with all the updates, 2018 software but on decade-old computers. And that’s a bit like taking your mobile phone to medieval times and complaining you haven’t got signal! You know, we need as editors to be, I think, working with the latest equipment. Within a budget, of course. Most of us aren’t rich. But I always think, get the best RAM you can ... get the best processor you can for your money. And then things like PerfectIt, within Word, within Microsoft Office, will work the best for you. DH: Absolutely! And we all make these mistakes! I’ve been screaming at my printer all morning and pressing over and over again, and wasting so much time trying to get this printer to work. And I know the reason why it doesn’t work – it’s because it’s really old, and would cost next to nothing to replace. But, you know, we’re old enough to remember that these things used to be very expensive, and it’s so difficult to get rid of them. But, actually, you know, when running a business, to spend my morning yelling at a printer is probably not the best use of my time! PerfectIt 4: Online, in the cloud, or both? LH: So can I just check something with you? Can we talk then about the next version of PerfectIt that will be also usable locally? So we’ve got PerfectIt Cloud but there’ll come a point I’m assuming when there’ll be the next version, like PerfectIt 4 that will be in the cloud. Will that also be something that someone like me who’s got a little bit of an iffy broadband connection can, if they want to, download to their computer? DH: Oh, so we are NOT moving to the cloud in any way, shape or form. We’re doing very much that kind of approach that Microsoft has gone for where you pay once and you have different parallel versions for different devices. We are not switching to the cloud. There will always be a local version. As I said earlier, it’s still kind of the best version for a number of reasons. And so at the moment, if you get a subscription, you will get PerfectIt 3 and PerfectIt Cloud, and as of the end of this year you’ll get PerfectIt 4 and PerfectIt Cloud. And we’ll keep the two in parallel so that they’re running off ultimately the same code, so that you’ll get the update for PerfectIt 4 locally, and at the same time, almost at the same time, we will update PerfectIt Cloud automatically, and they’ll offer the same checking. LH: OK, great, that’s good. I just wanted to be sure of that because ... just because my broadband is a bit of a nightmare here! DH: No, no, I don’t think we communicated that properly in our in our literature so it’s a really good question to ask. I’m sure a lot of people will be concerned about that. LH: So can we talk about ... do you have any specific plans for what will be new with PerfectIt 4 yet, or can we suggest things? DH: Well, obviously, I’m going to dodge that question because the trouble with that question is that if I start saying we’ve got plans for PerfectIt 4, that we’re working on ... I suspect if I start saying the things that I’m working on, the disappointment that will follow when we say we’ve failed ... [laughing]. But I like the idea of suggestions. As I said, this business has very much been built by support from editors, and feedback from editors. So if we wind the clock like all the way back to the first time that I was at SfEP conference, I remember someone mentioning en dashes and and why they could be in the hyphenation-consistency check. And let’s let’s be honest, at that point, which was been ten years ago or so, I didn’t understand the significance of that. Why would we need to be looking for en dashes and hyphenation? What’s the point? And actually it was that feedback which we then took on. And it got quite a few people explaining and saying, well, actually, this is the error that we’re looking for. This is what comes up. It’s really difficult to spot because of this. Is there anything you can do? And I think it was in PerfectIt 2 but certainly in PerfectIt 3. And we’ve built in an en dash versus spaced-hyphen consistency check. LH: And em dashes too. DH: Yes, the way we do the checking for those is a little different but, yeah, it ultimately came down to the same reason, which is editors suggesting that these were the things that they wanted to see. LH: I’m thinking legal and medical might be obvious. DH: Yes, legal. I’ve got a long, long list of changes that we want to make for legal, but medical, pharmaceutical scientific ... I know we have a lot of editors working in those kinds of fields and I feel like we haven’t done as much for them as we should and could. So I’d love to get suggestions from every kind of editor, but especially those ones would be really good, because we need to do more in that area. LH: And speaking as a fiction editor as well, I think there are certain functions I’m using ... the possibilities are there but there are certainly things I could think of in terms of the similar-word-find function that maybe even we could put forward some suggestions that might help you to push that stuff further forward, and help us to adapt the style sheets more so that we could get more benefits in that field too. And I’ll certainly be thinking if there’s anything else from a fiction point of view that I can push your way. DH: Definitely. You know, we always get a nonfiction writer saying, ‘Can this be used for nonfiction too?’ We get fiction writers saying, ‘Can it be used for fiction?’ And we hadn’t been quite communicated clear enough that, yes, it’s for all of those things. And, yeah, the similar-words function. Lots of people are using that for character names. Can we improve that? Can we make it clearer that that’s a possibility for character names? Can we look and see if there are ways of improving that? I will avoid saying more about that but I am excited by that kind of change and by doing things that are specific to different kinds of editing, for sure. LH: I think from my point of view as an editor, and for people who are watching this who haven’t tried PerfectIt yet, knowing that you’re responsive to ways in which you can develop the software is a really important thing to emphasize, because the various iterations that I’ve used over the years have just got better and better. And that means I’ve saved more and more time. And so I want to say to people that when you invest in this software you are working with a company and a business owner who will listen to you, and that's a good thing. DH: Thank you! And my guess is that at this point in the video, between the dogs barking outside and the helicopter going overhead, anyone who is completely new to this software will probably have stopped watching 20 minutes ago! But, yes, anyone with us longer hopefully has experienced that we are ... it’s actually the other way around. It’s editors who’ve helped build this and made all this stuff possible, so we are absolutely listening, and will continue to iterate and improve. If we improve the product for actual editors, everyone else who uses the software benefits. And, you know, we really have the best people in the world advising us, so I think it’s fantastic. LH: Daniel, thanks very much! That’s been really, really useful. So I’m excited about ... not just the cloud but also PerfectIt 4 coming out. I’m excited that I’m going to be able to use it on multiple platforms, in different spaces. I’m excited that I’m going to be able to get it cheaper than I did last year! So thanks for taking the time to talk to me. It’s been brilliant. DH: Thank you! And thank you for all the support through all the years. The excitement and enthusiasm is so encouraging after we’ve been telling people, you know, soon, soon just another month, just another couple of months. Now that it’s done, now this here, it’s fantastic! Thank you. Don't forget to check whether there's a discount available via your national editorial society. Louise Harnby is a fiction copyeditor and proofreader who specializes in helping self-publishing writers prepare their novels for market. She is the author of several books on business planning and marketing for editors, and runs online courses from within the Craft Your Editorial Fingerprint series. She is also an Advanced Professional Member of the Society for Editors and Proofreaders. Louise loves books, coffee and craft gin, though not always in that order. If you're an author, take a look at Louise’s Writing Library and access her latest self-publishing resources, all of which are free and available instantly. Editors on the Blog is a monthly column curating some of the best posts from the editing community – articles written by editors and proofreaders for colleagues and clients alike. My thanks to this month's contributors! To include your article in next month's edition of Editors on the Blog, click on the button below. The deadline is 16 July 2018. Louise Harnby is a fiction line editor, copyeditor and proofreader who specializes in helping self-publishing writers prepare their novels for market. ​Are you looking for literary representation? My guest Rachel Rowlands has some helpful advice on how to find an agent, what to submit and to whom, and dealing with rejection professionally. Literary agents hold the golden ticket that will get you into the chocolate factory. If you want to get published traditionally, they’re essential. Getting an agent is competitive, and it isn’t easy, but if you’re stubbornly passionate about your work and don’t give up, it can be done. I hope my journey and what I’ve learned along the way will inspire you and help you. Buckle up, because it’s a bumpy ride. The process starts long before you even think about submitting to agents. Write. Abandon projects. Start new projects. Finish projects. Learn about the craft. This can take years. You may even develop a few grey hairs along the way. I’ll rewind a bit and give you an example: I’ve always written stories. I wrote my first ‘novel’ when I was 16. It was about angels of light and darkness and doors to other planets, and it was heavily inspired by Kingdom Hearts, a game I was obsessed with. ​But I had fun, I loved writing it, and it taught me how to plan and finish something. I wrote three other books before writing the one that led to me signing with an agent – at 27. You need time to develop as a writer, to hone your craft. Your first book most likely won’t be the one that gets you where you need to be. Your second might not either, and that’s okay. No one becomes an expert overnight. Take creative writing courses. Many have workshop elements, which are super valuable for developing your craft. Find beta readers/critique partners. Twitter is great for this – there’s a big community of writers hanging out there (try the #amwriting hashtag). You could also join a local writing group. Get involved with the community. Befriending other writers will give you a support network. You’ll need people to share your struggles and successes with! Read widely. It goes without saying that reading is essential for a writer. You’ll learn about what’s marketable and what makes a good story … and you’ll be inspired, too. Work with an editor. You don’t have to do this but working with an editor can be a great way to learn about storytelling, particularly if you commission a professional critique or developmental edit. No agent should charge you money – they work on commission. Any agent who wants you to pay upfront is a scammer and you should run far, far away. A great place to hunt for agent details if you’re in the UK is the Writers’ & Artists’ Yearbook. QueryTracker is great, too; it lists agents from all over the world (although some UK-based agents are missing from the database). You can even use it to track your submissions and the replies you receive. Otherwise, I recommend doing your own tracking via, say, a spreadsheet. It doesn’t matter where in the world you’re based in terms of who you submit to – many agents work with foreign co-agents. So, for example, if you’re based in the UK it’s perfectly fine to query both UK and US agents. Every agency has different guidelines ­– some want you to send a cover/query letter and three chapters. Others might just want an initial query letter. Treat these guidelines as law. Also, be professional in your letter (read Query Shark, a blog on writing query letters, like your life depends on it). Get someone to critique your query letter before it goes out. Don’t make it easy for someone to say no! Submit to a small batch of agents first, somewhere between 5 and 10. If you get any feedback, rework your manuscript and then send out a new batch. Note, however, that this strategy can be problematic because you won’t always know why an agent rejects a book; it might be purely subjective. Still, you don’t want to exhaust all your options in one go! Try to keep it balanced. Don’t get keyboard-happy and send your book to 200 agents. I submitted two manuscripts over the course of two years, racking up a couple of hundred rejections. It wasn’t easy. The first book I queried got standard, copy-and-paste rejections almost across the board (also known as ‘form rejections’), although two agents did ask to read it. One asked me to send it back after doing some revisions, sometimes called an R&R or a revise and resubmit (sadly it doesn’t mean rest and relaxation). I never heard from that agent again, even after several polite nudges. As for the second book I sent out, there was a flurry of interest. Suddenly, lots of people wanted to read my book. But then … the standard rejections started rolling in. I even had an agent ask to meet me when she was halfway through my book. Then she called and rejected me after she’d finished reading. A phone call from an agent is generally a sign that they want to work with you, so that was pretty crushing. I kept going. Another agent called me up. We talked revisions. I worked on them for six weeks and we bounced ideas back and forth. She really got my book and what I was trying to do, and she loved my edits. After two and a half years of submitting, five manuscripts, and many I’m-going-to-quit-writing-forever threats, I signed the contract. Really, don't, unless the agent personalized your rejection and mentioned your book/characters specifically. In that case, feel free to send them a quick thank-you note. Never send sassy or scathing replies like, ‘You don’t know what you’re missing out on’ or ‘Your loss, sucker’, even if that’s what you’re thinking. Vent in private. That’s what writer friends/cats/brick walls are for. If an agent sends you a rejection, but invites you to submit future work, do it! They haven’t slammed the door shut, they’ve left a gap for you – and it means they see potential. Keep their name and email address, and when you have a new project ready, send it to them and remind them who you are. All in all, remember that no project is ever wasted. You’ll learn something from every manuscript, and even if you don’t land an agent straight away, you’ll be making connections and putting your name out there. Treat your rejections as badges of honour because they mean that you’re still in the game, and one day you’ll get to the next level. Rachel Rowlands is an independent editor and an author of young adult books. With her editor hat on, she works for a growing list of publisher and author clients on both fiction and trade non-fiction. She has a degree in English and Creative Writing and is represented by Thérèse Coen at Hardman & Swainson. She can be found at www.racheljrowlands.com and on Twitter: @racheljrowlands. If you’re not sure what a narrative point of view is, or how to use it effectively in your crime writing, this post is for you. This is rather a lengthy article so I've created a free PDF ebook that you can download to your preferred device and read at your leisure. Scroll to the bottom of the post and click on the image to access your copy. What is narrative point of view? Point of view (POV) describes whose head we’re in when we read a book ... from whose perspective we discover what’s going on – and the smells, sounds, sights and emotions involved. There can be multiple viewpoints in a book, not all of which have to belong to a character. And to complicate things, editors’ and authors’ opinions differ as to which approach works best, and what jars and why. In this article, I’ll review the most-oft-used POVs and show you examples from published crime fiction. I’ll also explain why I think they’re effective. POV can be tricky – it’s probably the one thing I see beginner authors stumbling over the most. My aim is to keep the guidance as straightforward as possible, not because I think you should only do it this way or that way, but because most people (myself included) handle complexity best when they start with the foundations and build up and out. Why should you bother nailing POV? A better read: The right POV in the right place enriches the reader’s experience; the opposite will mean your book is not as immersive as it might have been. It might even confuse or frustrate your reader. I’m assuming you want your book to be the best it can be, so understanding how narrative POV works, and how to use viewpoint with intent, will help you in that endeavour. A better price: If you’re working with a professional editor, whether a story-level editor (developmental, structural editing) or a sentence-level editor (line editing, copyediting, proofreading), there’ll be less to fix if your POV doesn’t jar. A better fix: Some beginner authors, for reasons of budget, choose not to work with a developmental editor. This is the shaping stage in which decisions about how POV will be handled are made. If you go straight to working with a line editor or copyeditor, and they encounter major POV problems, it’s likely that their editing will have to be more invasive than either you or the editor would have liked. Plus, the fix might not be as elegant as it would have been if any problems had been attended to before the sentence-level work began. Dead Lions by Mick Herron: Herron offers a masterclass in omniscient POV early on. I See You by Clare Mackintosh: Interesting mystery-building through use of a first-person transgressor narrative. The Fix by David Baldacci: Nice examples of blending third-person limited and objective. The Word is Murder by Anthony Horowitz: First-person viewpoint throughout, made more interesting because the author is a character in his own book! Time to Win by Harry Brett: Great example of tight, third-person-limited POV, with several viewpoint characters controlled via chapters. It’s the one that most writers find easiest to master at the beginning of their journey. Readers are used to encountering it in contemporary fiction. The limited version provides intimacy – we get to explore a character’s emotions and hear their voice; the objective version offers a more neutral flexibility when we need some distance to look around and beyond. This is a deeper POV. We get to sit in a character’s skin – experience what they see, hear, feel and think. That provides an immersive experience for readers. It’s as if we’re them. The voice is distinctive. The narrative will convey the viewpoint character’s way of speaking and thinking. For example, if character X is sweary, that can be reflected in the narrative rather than just in their contribution to dialogue. However, it’s called third-person limited for a reason. Strictly speaking, what that character can’t see or know shouldn’t be reported. In the above examples, we’re left with questions – of destination and the origin of a smell. Third-person limited is effective in crime writing because the author doesn’t want to give everything away at once. The limitations over what can be known, and therefore divulged, allow the writer to control the unveiling of information via the viewpoint character. I recommend you stick to a single character's POV per chapter or section to avoid confusion or interruption. That’s worth heeding. It means the reader’s trust has been lost, that they’ve been pulled out of the story rather than drawn further into it. Trickier still is narrative ping pong, where within one section we bounce back and forth between the POVs of Character X and Character Y.
Here’s a made-up example that demonstrates how things can go wrong. Jan ran down the road, her lungs screaming for air. She snatched a glance over her shoulder, hoping to Christ that Melody was behind. ‘You okay, Jan?’ said Melody. She’d barely got the words out – her throat was on fire. All she wanted to do was stop, breathe, devour that bottle of water in her backpack bouncing hard against her spine. ​‘We’re here,’ said Jan. Thank God. Tears of relief stung her eyes. She’d been worried that Mel wouldn’t be able to keep up. Guilt niggled. Would she have gone back for her? She wasn’t sure. The problem with this kind of setup is that it ‘alienates the reader from both perspectives. She is unable to identify with either because there’s no telling when it will be yanked away’ (Mittelmark and Newman, p. 161). In other words, the reader has been prevented from immersing themselves in the character's version of the story. Stay in the head of one character per chapter or section and you’ll make your writing life easier. Here’s an example from David Baldacci. The objectivity allows the writer to explore detail what would be unnatural for a character to deliver in their own voice. The narrative voice is neutral. We’re not accessing thoughts, opinions and emotions with an objective POV, just the stuff that any onlooker could see, hear or smell. In crime fiction, that can be useful because the reader will be forced to reach their own conclusions as to the reasons for or motivations behind a particular event or behaviour. In other words, it’s mysterious. However, it can be distancing if overused. We don’t get under a character’s skin. It’s harder to understand what motivates them unless they express it through dialogue. Dialogue is great as long as it’s not dull. Real-life conversations are sometimes littered with mundanity but we don’t want that cluttering a novel. Furthermore, real conversations don’t usually express emotion in the way that prose does. Use third-person objective POV to create suspense, to make your reader wonder, and ask their own questions, and to provide scene-setting information, but blend with a limited viewpoint for deeper emotional engagement. In the first paragraph of the example below, Baldacci uses third-person objective to give us background facts. In the second, he switches to limited to explain the character’s feelings. It's a lovely fusion. His size fourteen shoes hit the pavement with noisy splats. His hair was, to put it kindly, dishevelled. Decker worked at the FBI on a joint task force. He was on his way to a meeting at the Hoover Building. First-person narrative POVs are the most intimate, the most immediate, and the least flexible. The reader is privy to an individual character’s thoughts, emotions and experiences, all told through a distinctive voice. We can only see, hear, smell and feel what the character sees, hears, smells and feels, and are compelled to move through the story knowing only what they know, and at their pace. However, used throughout an entire novel, from on character only, it can be draining for the reader. There’s no way of taking a breather, particularly when only one POV is offered. This POV is particularly effective in crime fiction when an author wants to offer a distinct transgressor narrative that explores the predator’s twisted psyche intimately, and in a way that enables the reader to understand their motivations – what’s making them think and behave so monstrously. Here’s an example from I See You (p. 176). He might have something entirely different in mind for you. Mackintosh punctuates her third-person narrative (a police officer’s) with this first-person viewpoint of an anonymous predator, though she keeps the narratives distinct by giving them their own chapters. The chapters given over to the transgressor provide a rich sense of cat and mouse when juxtaposed with the more distanced police-procedural storyline. Note how the predator-narrator in the above example bends their perceptions into a warped reality – there are no maybes here; they’ve decided that this is the way things are and justify their actions accordingly. And because Mackintosh is using the present tense for her first-person narrative, she’s able to retain tight control over the unveiling. We’re right in the now of the novel. It’s deeply suspenseful, but emotionally demanding to read. For that reason, these chapters are usually shorter. In The Word is Murder, author Anthony Horowitz is one of the characters! The viewpoint is first person (his), but most of the novel is set in the following two tenses: the past (I did, I saw) and the past perfect (I had been approached, I had first read). We’re not confined to now. That’s important because it means the story doesn’t drag. The author himself is almost like Playle’s floating camera. We see the protagonist – the detective (Hawthorne) who solves the crime – through Horowitz’s eyes as he accompanies him to interviews with suspects and on visits to crime scenes. The author-character offers his own theories, even pursues his own lines of investigation, and interjects with stories about his life and career. This adds interest but, ultimately, it’s the detective who grounds the crime story; it’s through him that we access the procedural elements and the answer to whodunnit. They’d used blue and white tape to create a cordon which began at the front door and blocked off the stairs. I wasn’t sure how they would deal with the neighbours on the upper and lower floors. As for me, although I hadn’t been questioned, a woman in a plastic suit had asked me to remove my shoes and taken them away. That puzzled me. ‘What do they need them for?’ I asked Hawthorne. First-person narratives introduce depth and explain motivations, but they can be difficult to sustain when they’re emotionally challenging, as is the case with transgressor and victim viewpoints. Your reader might be given space to breathe if you introduce an alternative, perhaps a detective’s or journalist’s. Playle points out that the opposite problem can occur when the character isn’t ‘interesting enough to maintain a continuous presence.’ Too much I can be restrictive if it doesn’t allow for the telling of other interpretations. That’s why Horowitz’s approach works so well, because he’s often narrating live from the scene with a detective. One last thought: if you’re basing your whole novel in the first person, be cautious about using the present tense throughout. The past might give you more flexibility, particularly if you’re writing action-heavy scenes where, in reality, the character wouldn’t have time to give much thought to the consequences and motivations of their behaviour. I’ve given the biggest page space to this because it’s probably the trickiest to master. Omniscient means all-knowing. It’s the most flexible of narrative viewpoints because it gives the reader potential access to every character’s external and internal experiences. It’s also the least intimate. Imagine a futuristic news helicopter. Inside, our roving reporter shifts her camera from one person to another, and one setting to another. She’s also got some serious kit, stuff that enables her to tap everyone’s phones, TVs and computers. But that’s not all; the characters’ brains are bugged too; our reporter knows what they’re thinking. She can see, hear and smell it all! Mick Herron is the author of the Jackson Lamb thrillers, a series about MI5 officers who’ve screwed up and been sent to Slough House to shuffle paper. Herron offers a masterclass in effective omniscient POV. He doesn’t use a helicopter or a god though; he uses a cat. He imagines our feline friend sneaking ‘like a rumour’ (p. 9) into Slough House and checking out the various rooms’ occupants. Dead Lions is book 2 of the series. Herron wants to introduce us to a cast of characters, most of whom appeared in book 1. However, he respects the fact that not all his readers will have read the first book, and that those who have might have forgotten who these people are and why they’re important. The omniscient POV allows him to do the introductions quickly and cleanly, and democratically. None of the characters are explored in depth. Rather, Herron gives us a snapshot of what he wants us to know about them, what makes them tick. Through the imaginary cat, we’re given the freedom to roam without intrusion. No single character’s feelings or experiences dominate over the others. It’s a form of speedy literary democracy. That roving feline shows us not only key details about each character, but also how they perceive each other. That’s difficult to do with first-person and third-person narration without offering lengthy and interruptive explanations of how the information was acquired. Finally, take a look at how Herron uses the omniscient to convey a sense of tension that sets up the next scene. The main man, Jackson Lamb, head of ops, is not in residence. And that’s unusual. Rather than hopping from one internal monologue to another, or cluttering the text with dull dialogue in which the various characters express their confusion about their boss’s absence, the omniscient narrator tells us in only 18 words (‘Simply put ...’) that everyone knows he’s absent, and no one knows why. [...] and he’s not ignoring Catherine Standish while she delivers another pointless report he’s forgotten commissioning. Simply put, he’s not here. The narration throughout this section is distant, devoid of emotion. It’s literally a cat’s-eye view. So an omniscient viewpoint can be powerful. However, it needs to be controlled and used with purpose. If we’re accessing one character’s thoughts and experiences, and suddenly we jump to another character’s viewpoint, it can jar the reader. Imagine you’re listening to your best friend tell you about a difficult experience. Even though it didn’t happen to you, her description of the event helps you to imagine the challenges she faced, the emotions she grappled with. You’re thoroughly immersed and emotionally connected. Then someone else barges up to you both and tells you what it was like for them. Your friend butts back in to wrestle the telling back to her. Would the interruption annoy and frustrate you? Would you feel like your efforts to invest in your friend’s story were being thwarted? The impact is the same when it occurs in a book (unless you're using dialogue). That viewpoint ping pong is not omniscient POV. It’s third-person limited gone awry. I’d recommend caution. The beauty of crime writing lies in the unveiling, in the immersion, and overuse of an omniscient narrator blocks this. The all-seeing eye can be an effective tool in the purposeful way Herron’s used it at the start of Dead Lions, but used throughout an entire novel it would destroy the tension, and distance the reader from the characters. There’s nothing wrong with experimenting with different narrative viewpoints in crime fiction. Switching can add interest and tension, heighten conflict, and help readers build varying levels of intimacy with different characters. What is important is that authors choose a POV with intention, and recognize the benefits and limitations of their choices. ​Choose who is doing your telling very carefully, work with their voices, character, secrets and lies, reliability or lack thereof, and the spaces between different points of view. You can weave a wonderfully rich pattern this way. This doesn’t mean that you have to write in the first person (‘I’) – you can get right up close inside a character’s head by using third (‘she’). A cool, detached, narrator can be helpful, too, but you have to be clear who and what they are, and why they are there. For an excellent overview of narrative point of view – including the difference between the author, narrator and viewpoint character, and the pros and cons of each approach – read ‘Slipping into character – understanding the impact of narrative point of view’. Sophie Playle. The Parlour, 2017. Dead Lions. Mick Herron. First published by Soho Press in 2013. The edition I used was published by John Murray in 2017. 'Five tips for keeping your readers gripped'. Julia Crouch, NoirWich, 2018. How Not to Write a Novel. Howard Mittelmark and Sandra Newman. Published by Penguin in 2009. I See You. Clare Mackintosh. Published by Sphere in 2016. The Fix. David Baldacci. Published by Pan Books in 2017. The Word is Murder. Anthony Horowitz. Published by Arrow in 2018. Time to Win. Harry Brett. Published by Corsair in 2017.